A discussion of how the railroad treats its workers following an injury as seen through the eyes of a former railroad conductor and current railroad injury lawyer. The railroad is an employer who spends money to train new workers then tries to issue discipline the first day the new worker is on the job. This is an effort by the railroad to hold the sword of dismissal over the head of the new worker. The railroad claims to be an enlightened employer who has changed over the years. If a railroad worker gets injured on the job they find out differently right away. The first tactic by the railroad is to try and find that the injured worker violated the railroads many rules. If that doesn’t work, the claims department sends in someone who takes your statement. Their job is to have you say nothing was wrong with the area or the equipment. In other words, it was your own fault that you were injured. This is often done in the presence of a railroad supervisor to intimidate the worker. If all that fails, the railroad has you fill out the required accident report. The railroad supervisor then takes a statement from you and often the crew, hoping again to find that the injured worker has violated a safety or operating rule. That is why an injured worker needs professional help from an experienced railroad injury attorney. I learned the methods of the railroad during my careers as a railroad conductor, union official and as a railroad injury lawyer who was designated as legal counsel by four major unions. A call to the office of Wilson & Hajek will get you advice on how to outmaneuver the railroad supervisors and claims agent. This advice is based on our experience and carries no obligation. 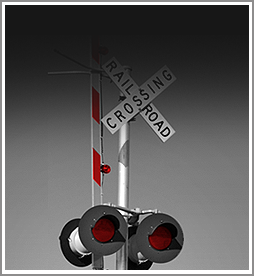 If injured on the railroad, call on our experience to help you through this troubling time.